Shop TASCAM CS-DR680 Carrying Case for DR-680 And DR-680MKII Recorders from AMS with 0% Interest Payment Plans and Free Shipping. The CS-680 protects TASCAM's DR-680 multichannel portable recorder from the elements while on location. The padded case has individual velcro straps to expose only what's needed. A clear plastic flap covers the top panel of the DR-680, protecting it from the elements. A pocket is provided to store extra batteries and other accessories for the DR-680. The pocket includes two slots for storing additional SD Cards. 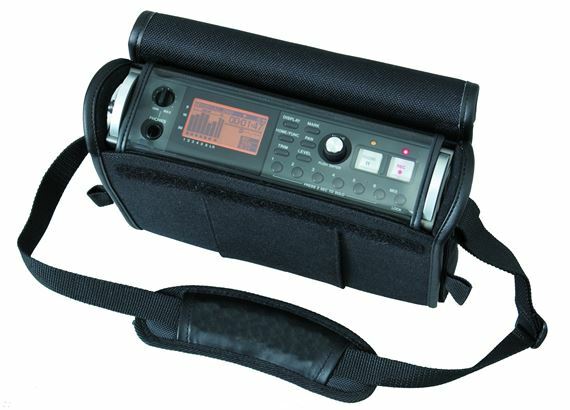 The CD-DR680 is compatible with the shoulder strap included with the DR-680.